The Craftsman Ranch Home has 3 bedrooms, 3 full baths and 1 half bath. A handy coffee corner can be found in the kitchen, great for morning meals and quiet time. A wonderful screen porch is the perfect place for outdoor dining. A flex room is a versatile space that can adapt to your family’s needs perhaps converting to a home office or extra bedroom. 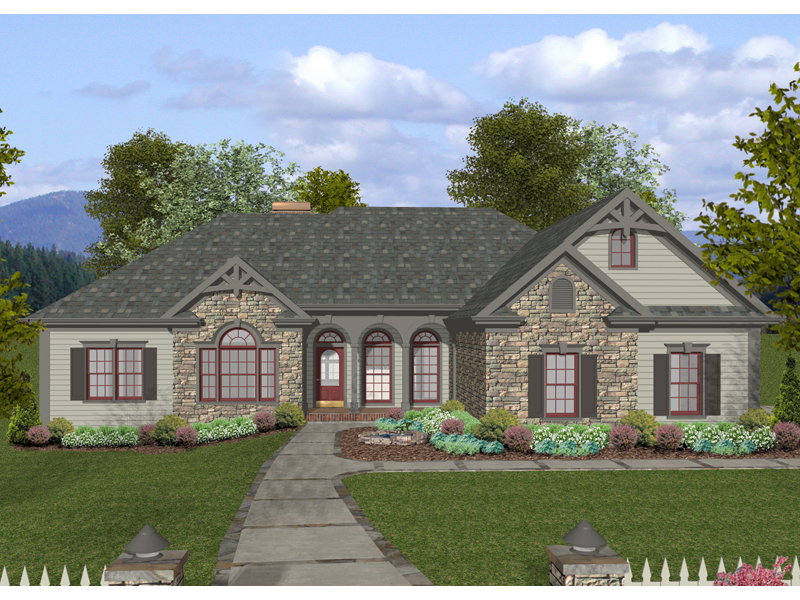 The Millwood home plan can be many styles including Ranch House Plans, Craftsman House Plans, Traditional House Plans, Arts & Crafts House Plans and Rustic Home Plans.